July 2, 2014, 12:08 p.m.
By Liam Andrew July 2, 2014, 12:08 p.m. Journalists are in the business of creating both content and context. The rise of “explainer journalism” outlets and topic rundowns like Vox’s card stacks demonstrates an increasing interest in news that takes a step back from a specific event, picks up the myriad fragments of information it leaves behind, and distills it for a curious audience. However, some stories (and some readers) need more context than others, and links don’t always do the trick. I just linked to Vox’s card stacks, but any reader who followed that link might have noticed that there is (ironically) no explanation of what the cards are. It might have taken you a moment to figure it out — and in the meantime, you left this article and might never return, buried instead in Vox’s impressive card catalog. The link, which I intended to be helpful, may have confused or even completely derailed you. How can a writer balance useful context with a sense of control? 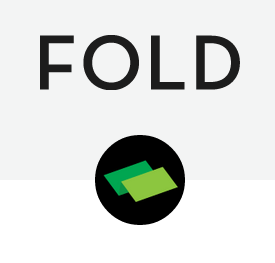 Enter FOLD, a “context creation platform” under development by Alexis Hope and Kevin Hu of the MIT Media Lab. FOLD allows storytellers to add contextual elements to a story, with a clever design that places the context to the side horizontally, offset against the vertical scroll of the content. They’ve made it easy to include rich multimedia as context, with quick shortcuts for embedding YouTube videos, maps, Storify stories, and (of course) GIFs, all annotatable by the writer. The idea: A storyteller can follow the “do what you do best, link to the rest” dictum without worrying about losing readers to other sites, topics, or tangents. A writer could add background context to an article about a complex and ongoing topic, using only the contextual elements that matter (rather than, for instance, linking to an extensive Wikipedia page). From the reader’s perspective, curated context could help a reader delve into new and unfamiliar topics with more confidence. FOLD was born out of Ethan Zuckerman’s News and Participatory Media course at the Media Lab, where Hope and Hu were inspired by Zuckerman’s metaphor of “unfolding” a story to get more or less detail from it. They were also intrigued by the challenge of improving the explainer journalism model. Although it was hatched in a news class, the platform’s design is flexible and could be taken in unforeseen directions. Hope seems ready for that, and she is careful to call FOLD’s writers “storytellers” rather than “journalists,” knowing that this could see use outside of newsrooms (such as in classrooms). 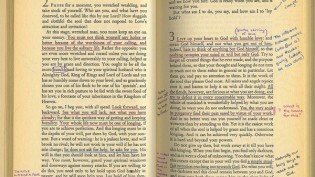 Crowdsourcing is another clear option, one that starts to overlap with the burgeoning annotation community. 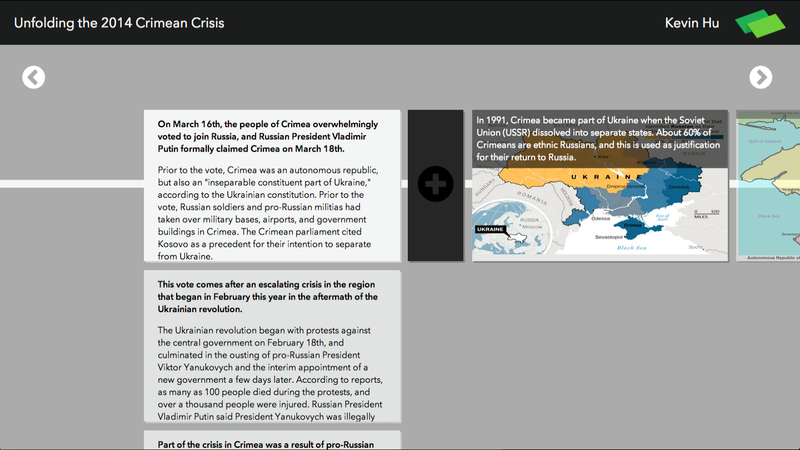 (Indeed, Quartz, one of the more celebrated adopters of annotations, is a major design inspiration). But FOLD goes beyond annotations, building in context as a first-class citizen of the platform, and Hope envisions collaborative context curation that could inform new editions of the story itself. She is also excited about the potential for sharing, reusing, and remixing the contextual information, whether by publishers or the public. One idea would be to partner with specific, forward-thinking publishers that might be more ready to compromise on their design for the sake of richer storytelling. FOLD expects to start here by trying to work with local publishers and established reporters, while they dive deeper into researching the ways that newsrooms are currently explaining their stories and educating their readership. Regardless of monetization, the FOLD creators hope that by bypassing the loaded hyperlink, news sites will be more apt to share better contextual information — whether sourced from content creators, computers, or communities — from which readers can enjoy richer and more active reading experiences. Personally, I will be thrilled if you could reach the end of this article without ending up in a Wikipedia k-hole (but now you’re about to). POSTED July 2, 2014, 12:08 p.m.